JRUUC is involved in various initiatives to create Social Justice in our community, city, state, and world. JRUUC has been active in MOSES, a state-wide interfaith organization, since the Summer of 2012. The current focus of MOSES is the 11X15 Campaign–an initiative to decrease the prison population to 11,000 by the end of the year 2015. JRUUC has a Peace, Justice, and Sustainability (PJS) Group which usually meets the 2nd Monday of the month from 7-8:30 p.m. The PJS Group, in conjunction with the Emerson East Neighborhood Association, holds a Sustainable Saturday Night on the 4th Saturday of the month, 6pm-9pm. JRUUC has a Social Justice Council which coordinates our Share the Plate initative. Nominate an organization for the Share the Plate initiative today! 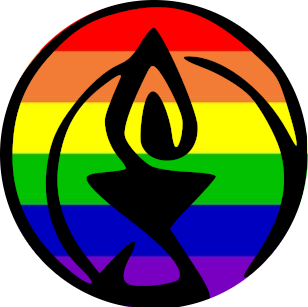 Read a nomination packet submitted to the UUA in hopes of receiving the Bennett Award in recognition of our congregations’ social justice commitment and action. At the May 20, 2012 Congregational Meeting, JRUUC passed a Statement of Conscience on Over-incarceration. At the May 17, 2015 Congregational Meeting, JRUUC passed a Statement of Conscience on Racial Justice. At the May 21, 2017 Congregational Meeting, JRUUC passed a Solidarity Resolution. Contact the JRUUC office to learn how to get involved in any of the above.